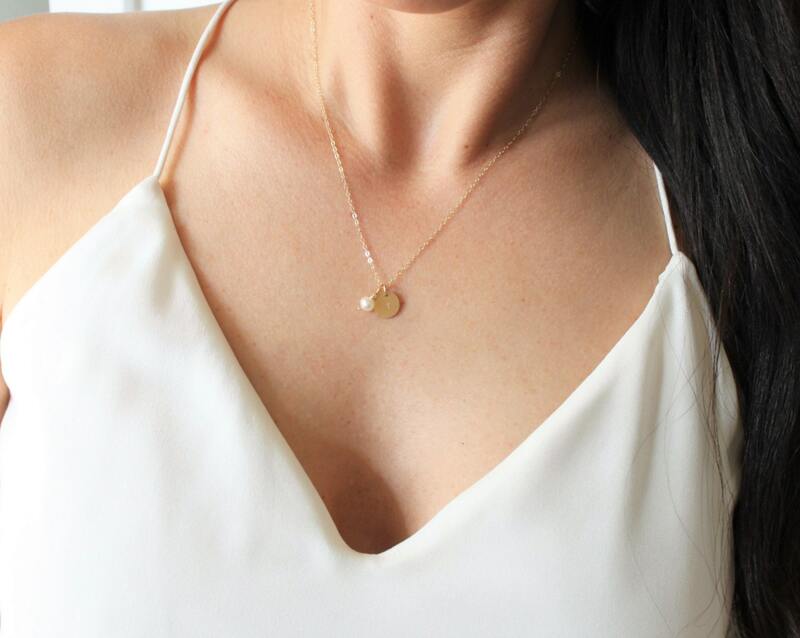 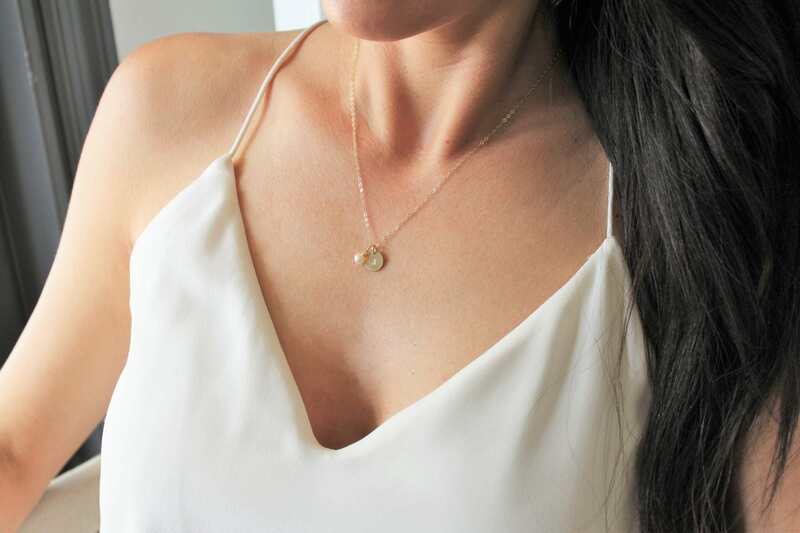 Dainty and meaningful, wear your favorite initial close to your heart. 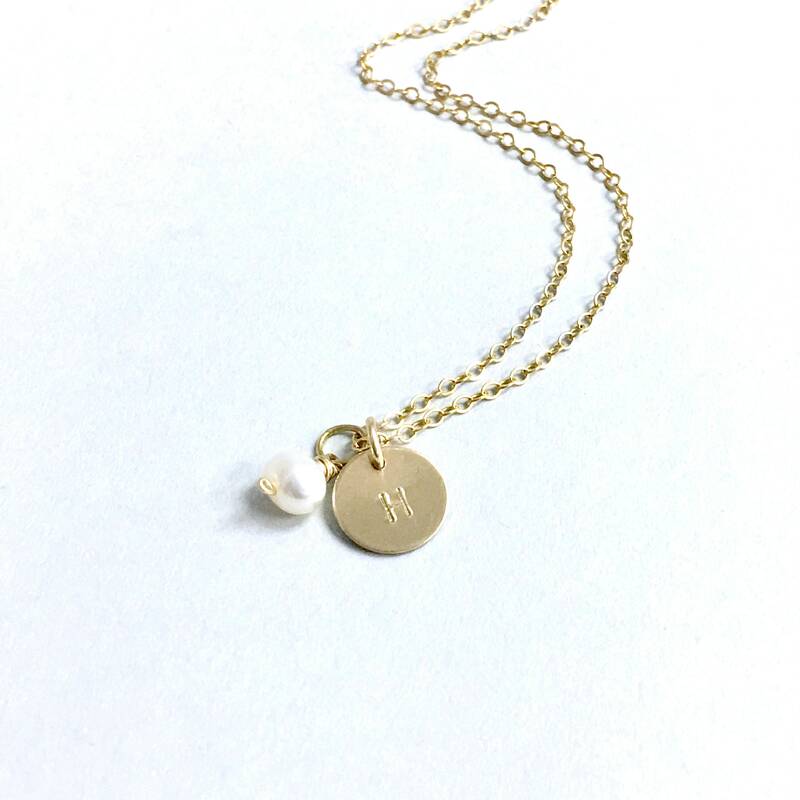 Adorned with a genuine freshwater pearl in your choice of 14kt gold filled, rose gold filled or sterling silver. 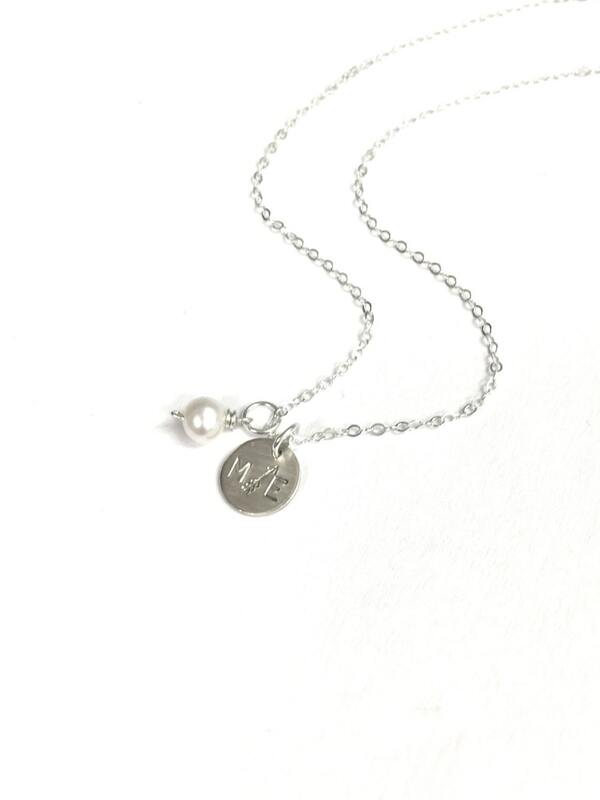 -Wire Wrapped genuine fresh water pearl. 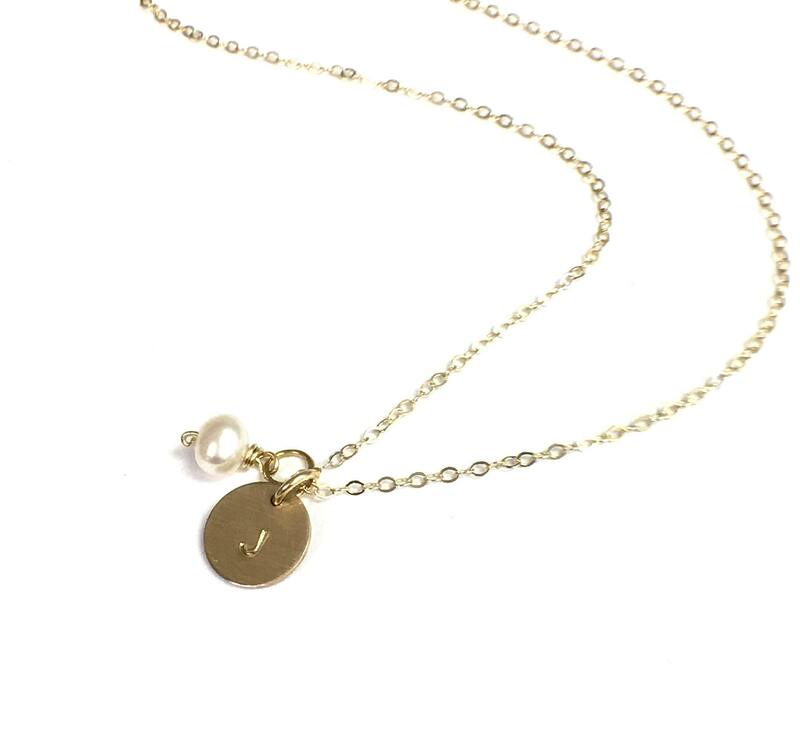 -Hand stamped with an initial or up to 3 characters. 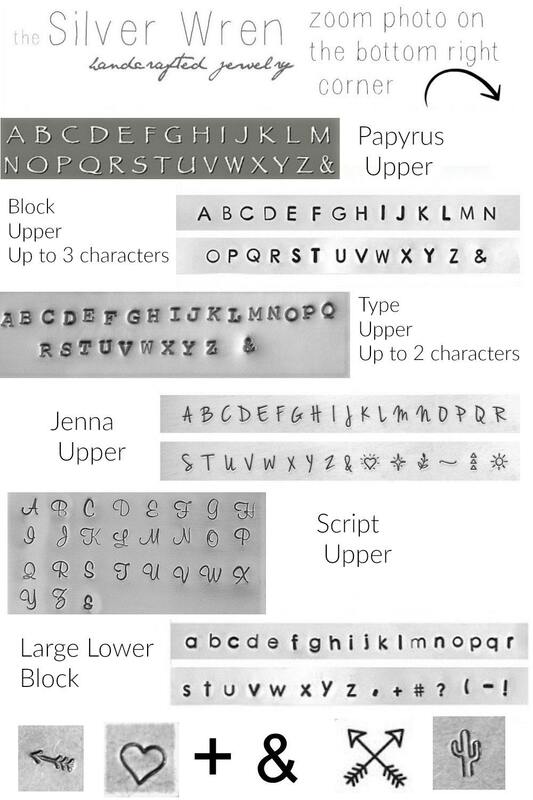 -Stamp can be a heart, +, arrow or & between initials.